If your back and joints hurt, you’re not alone because bone and joint ailments are some of the most common problems facing millions of people around the world. Bone and Joint Health National Action Week is the best source for information on causes and prevention of musculoskeletal conditions. This event takes place on October 12-20 each year. Bone and Joint Action Week centers around discussions on preventing and treating arthritis, back pain, trauma, pediatric conditions affecting bones, and osteoporosis. ​The first World Pediatric Bones and Joint Day kicked off with a theme exploring Vitamin D deficiency in children. Most American medical schools required their students to take instruction or perform a clerkship in musculoskeletal disorders. ​Bones and Joint Decade professionals met in Washington, D.C.
​The Bones and Joint Decade Annual Global Meeting assembled for the first meeting of its kind to gather influencers from the United States and 50 other countries to discuss musculoskeletal conditions. ​The American Surgeon General released a report on osteoporosis and bone health during the Decade's National Awareness Week. ​"Time" magazine published a cover story entitled "The Coming Epidemic of Arthritis." Bone and Joint Health National Action Week has five full days of activities from which to choose. There's World Arthritis Day on October 12 and World Spine Day on October 16. If you are suffering some kind of trauma due to an accident or fall, don't miss World Trauma Day on October 17. Everyone should be in the house for World Pediatric Bone and Joint Day on October 19 and World Osteoporosis Day on October 20. According to the World Health Organization, falls are the second leading cause of accidental injury deaths around the world. People over age 65 have the greatest number of fatal falls globally. That's why getting regular bone density tests are important. Find out about this and other preventive measures during Bone and Joint Health National Action Week. Yoga is one of the best exercises to strengthen your joints and bones. If you can't do a full "downward dog," that's okay. Lots of instructors offer modified versions of yoga moves and poses. The main thing is to make the effort to get moving. ​You were born with 300 bones, but as you age, they fuse together leaving you with a measly 206 bones. ​With the 54 bones you have in your hand, fingers and wrist, you are flexible enough to write, play an instrument, and browse your smartphone. ​Every seven years, you develop a new skeleton because the collagen in bones constantly replenishes itself. ​When you hear that "creaking" sound in your bones as you flex your foot or other joint in your body, blame the arthritis that develops as your bone cartilage thins. ​The so-called funny bone is actually your ulnar nerve, running inside your elbow. Anyone who has suffered from a slipped disc or even a "crick" in your neck (or back) realizes that it's impossible to fully enjoy life when you're in pain. According to the United States Bone and Joint Initiative (USBJI), musculoskeletal problems are disabling conditions that cost American businesses almost $874 billion from 2009 to 2011. Bottom line, it's hard to have fun, travel or even relax when you're in pain. 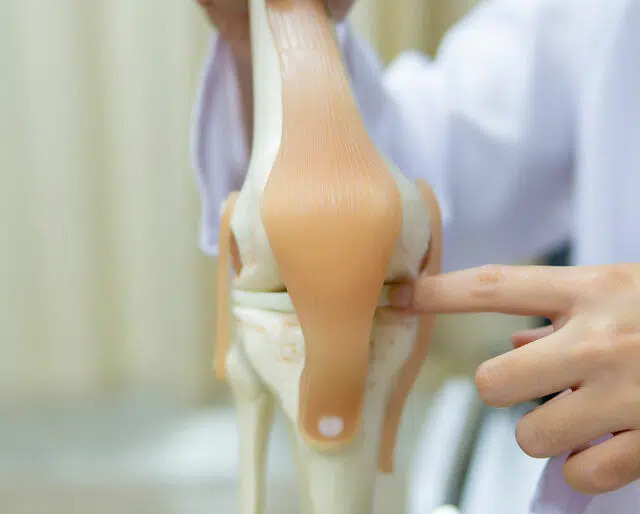 Although bone and joint problems can affect even the most athletic among us, Baby Boomers, born between 1945 and 1964, are driving the medical costs for treating bone and joint conditions. Starting in 2011, as Boomers began signing up for Medicare in droves, the costs impacted American society both medically and economically. Moving deeper into the 2020s, those costs are only going to skyrocket as seniors continue to age. Bone and Joint Health National Action Week is co-sponsored by the U.S. Bone and Joint Initiative and the Global Alliance for Musculoskeletal Health. Both organizations have set their sights on improving the prevention of bone and joint problems so that those impacted by these conditions can have an increased awareness of treatment options, resources, and research.